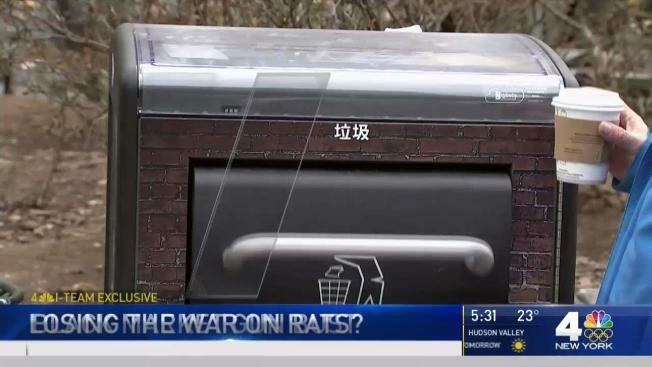 Rodent-proof garbage cans touted by the city as a major weapon in the war against rats are being questioned in one New York City neighborhood. Pei-Sze Cheng reports. Rodent-proof garbage cans touted by the city as a major weapon in the war against rats are being questioned in one New York City neighborhood. The metal, solar-powered bins were installed in the city’s worst rat-infested neighborhoods to keep trashed food away from hungry rodents. 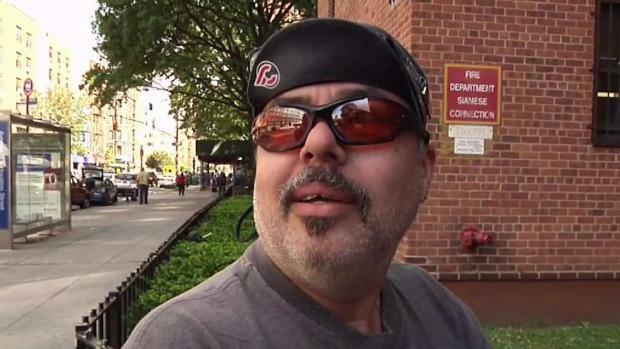 Those "rat reservoirs" include parts of Brooklyn, the Bronx, and the Lower East Side, East Village and Chinatown neighborhoods in Manhattan. By November, officials say 118 garbage cans had been installed in Chinatown, at $7,000 apiece. The $7,000 trash cans have been placed in neighborhoods with known rat problems, but some residents say trash bags from the bins are left out on the street, defeating the purpose. “I come out before the sun comes out and normally our corners are filled just like this,” said community activist Karlin Chan as he pointed to piles of garbage bags next to the rat-proof receptacles. In recent weeks, residents have noticed garbage bags piled up next to these pricey garbage cans, including near Columbus Park, which is well known for its rat problem. Workers from the Chinatown Business Improvement District remove the white garbage bags from the rat-proof bins. They then leave them on the sidewalk for the Department of Sanitation to pick up. But how often that happens, depends on who you ask. “I don’t see them collect it very often, so it creates the same situation as before,” said George Ma, who owns a souvenir shop. Fung Lam, who runs a vegetable market, says it defeats the purpose of the receptacles when they leave garbage out for extended periods of time. “When you leave the garbage bags out, people can still break open the bags and disturb the garbage,” Lam said. Marc Santia looks at the City's latest strategy to reign in the rats, while helping the environment. He says these receptacles compact the garbage and therefore fewer garbage bags are needed per day. But Chen acknowledged tighter coordination with the Sanitation Department is needed. The department currently says its workers pick up trash from the bins daily in Chinatown, sometimes even twice a day. Residents are asking for a more immediate solution. Do You Remember These Intrepid (And Hungry) Animals of NYC? Rat complaints are up from this time last year, so it’s not clear how well these bins are working. The community board will be discussing the issue with city officials to see if any improvements can be made.